Peter von Ziegesar had just moved to New York and was awaiting the birth of his first child when a dark shape stepped from the looking glass of his past on to a Greenwich Village street. 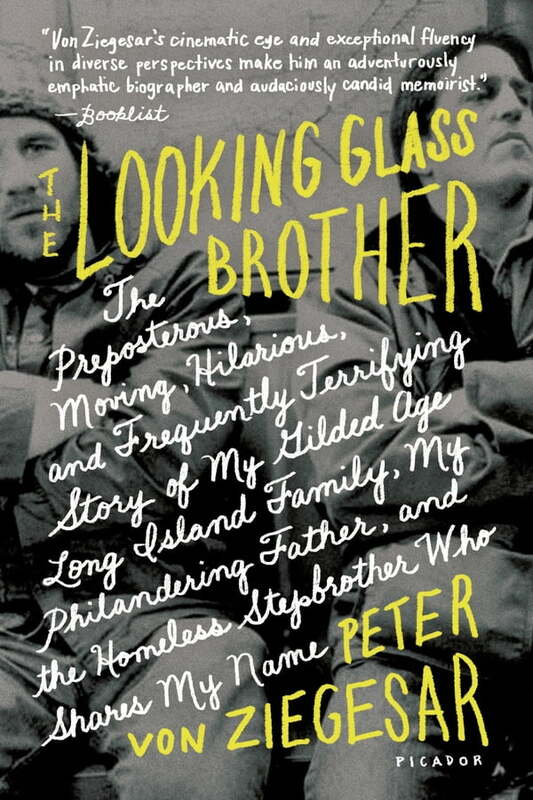 The Looking Glass Brother is Peter von Ziegesar's remarkable memoir of a life that began in the exquisite enclaves of Long Island's gilded age families and is now lived, in part, as the keeper of his homeless and schizophrenic stepbrother, Little Peter. The Looking Glass Brother is a feast of memories from one of the last, great estates on Long Island's Peacock Point. Summers were filled with the glistening water of the Long Island Sound, pristine beaches, croquet games, butlers in formal wear serving dinners and an endless stream of cocktails. When, after a string of affairs Peter's father left his mother and remarried, the idyll was broken and several stepchildren, including Little Peter, entered von Ziegesar's life from the looking glass of his father's new family. Little Peter was an angelic and brilliant young boy who spiraled down during adolescence to become one more homeless man living on the street. In this big-hearted memoir, Peter von Ziegesar mixes memories of life on Peacock Point with the turbulent joys of fatherhood and the responsibility he feels for his brother, a man with the same name as his, but a man who lives a desperate and very different life.